Sega announced recently that the upcoming game Judgement will have a different voice actor and model for the character Kyohei Hamura. The announcement doesn’t give an explicit reason why, though it’s not hard to connect the dots. The character was portrayed by actor Pierre Taki who was recently arrested for using cocaine. Sega has since pulled promotional material featuring the character and even halted the sale of the game in Japan. Obviously, western fans were concerned about this affecting the western release. Judgement will be maintaining its original release date. Screenshots and trailers featuring the character are still pulled, though will become available presumably when the new character model is ready to go. 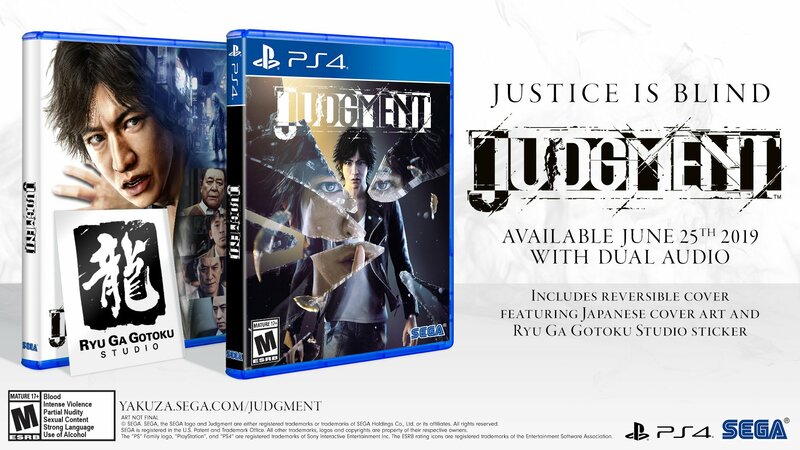 Judgement will be available June 25th for the Playstation 4.